Currently working as a Financial Controller at Pennant Capital Management. Syed’s career to date has been versatile and very successful. After graduating, Syed moved to the US and started a business under the name of ‘BRR Limited’ with his father. The company facilitates the furniture industry with vinyl-based solutions. The company took advantage of the housing boom in the US and as a result, Syed and his father opened three regional offices. After a year with ‘BRR limited’ Syed joined the audit firm Rothstein, Kass & Company. He then transferred his skills into industry by joining a prestigious hedge fund company ‘Pennant Capital Management’ as a Financial Controller. Within his role, Syed is responsible for fund’s trading operations, accuracy of accounting records, regulatory and investor reporting. As a highly motivated individual, Syed has managed to work a full time job whist studying towards the CFA (Chartered Financial Analyst) Level 2 Exam and is currently building up to the Level 3 Exam. 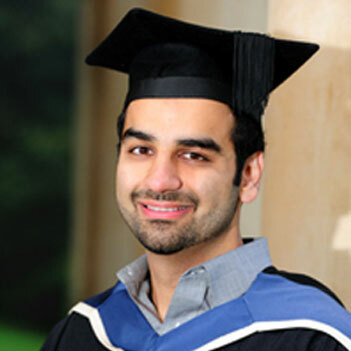 Syed’s is one clear example of the benefits that can be gained through achieving a qualification from Oxford Brookes University. Combined with hard work and steely determination, Syed has proved himself within industry as a truly hardworking, entrepreneur.